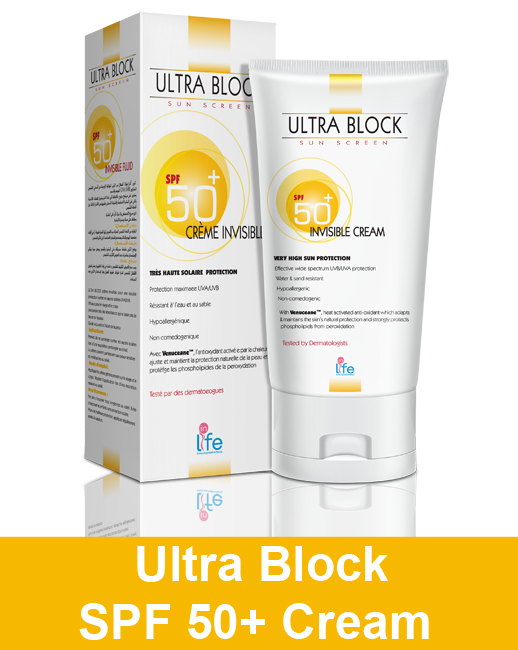 ULTRA BLOCK Cream contains a unique combination of chemical and physical filters, which provide broad spectrum protection from both UVA & UVB radiations. 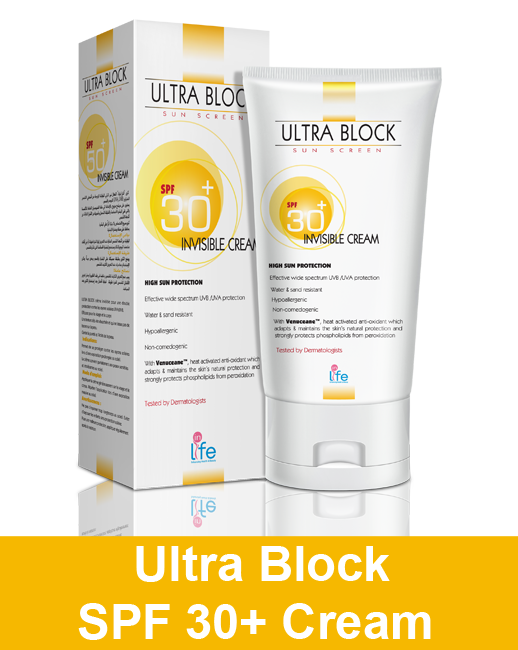 Complete broad spectrum protection against UVA as well as UVB rays. Protection from harmful effects of sun light style changed. • Helps to prevent premature aging. 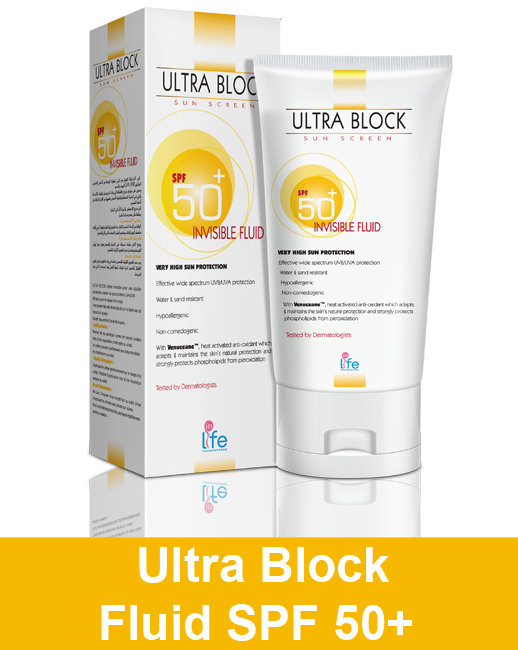 • Apply sufficient quantity on face and body before exposure to the sun. • Re-apply frequently and generously to maintain protection. • Re-apply after swimming, perspiring or toweling. Aqua(Water), Octocrylene, Butylene Glycol Dicaprylate/Dicaprate, Peg-6 Stearate, Phenethylbenzoate, Xanthan Gum, Butyl Methoxydibenzoylmethane, Silica, Glycerin, Benzophenone-3, Titanium Dioxide, CI 77891 (Titanium Dioxide), Phenylbenzimidazole Sulfonic Acid, Peg-32 Stearate, Stearic Acid, Triethanolamine, Phenoxyethanol, Paraffinum Liquidum (Mineral Oil), Cocosnucifera(Coconut) Oil, Thermus Thermophillus Ferment, Allantion,Polyglyceryl-2 Dipolyhydroxystearate, Potassium Sorbate, Disodium EDTA, CI 77492 (Iron Oxides), Ethylhexylglycerin, CI 77491 (Iron Dioxide), Methylisothiazolinone, Aloe Barbadensis Leaf Juice, Tocopheryl Acetate.